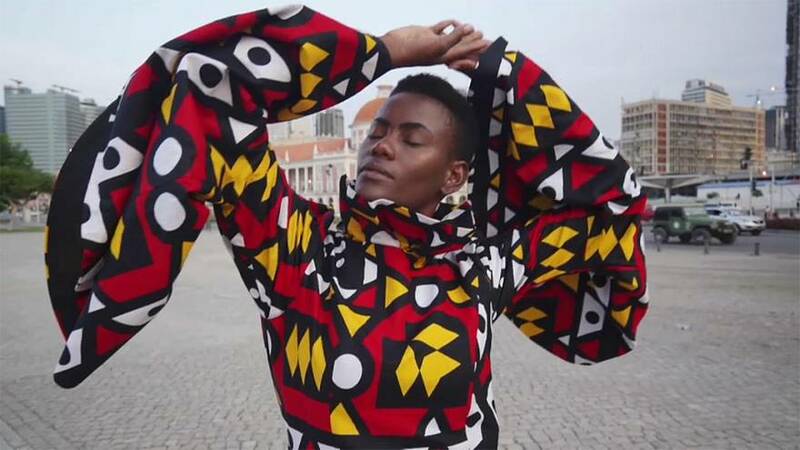 In the latest installation of Explore Angola, we meet fashion designer Nadir Tati. Angola is her homeland but her fashion designs can be seen all over the world on the runways of New York, Lisbon and Berlin. She makes fashion by Africans for Africans - but also the rest of the world. Her dresses and those who wear them; proud ambassadors of their continent. Having lived all over the world has enabled Nadir to reflect on her own heritage. Nadir's designs pivot on identity and origin - pride in her African roots. For her, everything in fashion has a message. Ever colour and pattern have a meaning. For every African, it tells a story. Nadir finds fabrics from all over Africa. Clothing is identity is self-confidence: an ethos that Nadir wants to convince other African women of. Nadir's designs give off attitude in their combination of African tradition with self-confidence. She admires the poise of one of her models. Nadir is a role model for Angolan women because her success is the result of passion, strong will - and hard work. It’s uncertain on how her collections evolve, but we can be sure she will continue to celebrate and show different African identities then ones we’ve seen before.